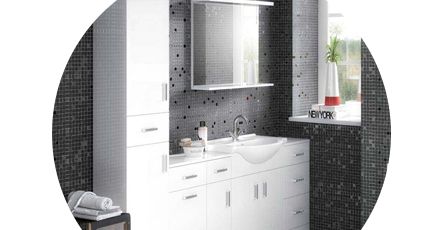 Choose a stunning freestanding bathroom cabinet from renowned brands as well as our own in-house branded cabinets. Whatever you need, we stock a wide range of laundry baskets, bathroom cabinets, cupboards and drawers all in freestanding designs to help keep your bathroom organised and stylish. Our freestanding bathroom storage units have all been built to last and come with long guarantees for complete peace of mind. Each freestanding cabinet features robust surfaces which are ideally suited to bathrooms and come in a range of beautiful colours and finishes to please any taste. Tall freestanding bathroom cabinets are excellent choice for keeping things out of reach from smaller children. Whether you want a modern or traditional freestanding bathroom cabinet, we have something for every bathroom and budget. These floor-standing storage units come in both slimline, standard and wide options to help save space and create more storage space in your bathroom. "100% recommended, Ideal unit for laundry."